As the days start to get shorter, you might find yourself wanting to skip your workout because of the hassle of driving to and from the gym. When this happens, it is worth to consider setting up a home gym to keep the motivation going. There is a misconception that only gym training can produce quality results. Or that home gyms have to be expensive because you need a lot of equipment and space. If you have a spare bedroom, basement, or garage, you can set up your own home gym and fill it with the equipment your need to be successful. Here are some tips to get you started. Determine how much space you need. A garage, basement, spare bedroom, or a living room are some of the places you can establish as your gym. Ensure that your space is well lit and airy. If the area you choose doesn't get a lot of natural light, you can add artificial lighting that uses soft white bulbs to create a similar feel. 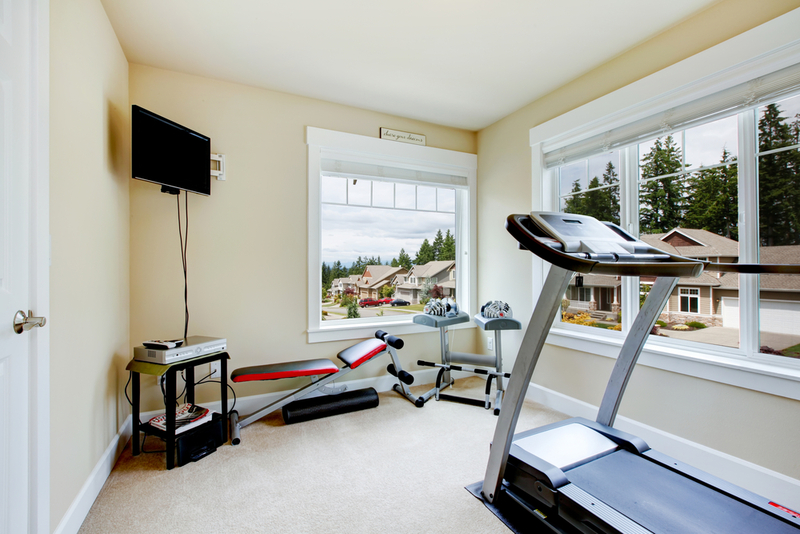 The ideal home gym will give you a certain degree of privacy and should be cleared of clutter. You should also consider investing in floor pads to protect your floors from heavy equipment and add some cushioning for your joints during workouts. Setting up your gym can be quite costly if you don't plan ahead. Make sure you put together a budget before you start purchasing equipment or decor for your home gym. Then think of the type of workouts that you like to do and that would work in the space you have, and only purchase the equipment that you know you'll use. You can always add to it in the future. Simplicity is best when it comes to purchasing equipment. You don’t have to go for complex machines that will waste your time and money. Make sure you research and buy from knowledgeable sellers. If buying brand new equipment isn't in your budget, check out garage sales, Craigslist, Facebook Marketplace, or neighborhood buy/sell/trade websites; you can find great deals on gently used equipment from people who are simply looking to downsize. Space, budget, and equipment mean nothing if you don’t do the workout. Plan on your weekly routine and stay committed. It is easy to get distracted at home, but a program can help you stay on track. Having the gym at your home has its advantages. Following these home gym tips can get you off to a great start with your home workouts!